Colorado Tri-Flo Systems has big news to announce. We are pleased to state that we have completed the process and been approved for the CE Mark for our Eradi-Flo line of electric bed bug heaters, which are great for commercial bed bug eradication, restoration heating, construction heating, cleaning, and a whole lot more. Receiving the CE Mark will help make possible our upcoming plans to offer our innovative electric bed bug and restoration heaters to the European markets. This CE Mark goes hand-in-hand with our ETL Listed certification to ensure our customers and renters that we take every step possible to achieve and maintain the highest standards of manufacturing and safety when it comes to our electric heaters. We want everyone who uses our line of heating equipment to have peace of mind in knowing they are using a safe, efficient heating solution. Colorado Tri-Flo Systems thought it was high time we started thinking bigger and better when it came to offering our products to more markets, which is why the CE certification will help facilitate our growth and provide more opportunities for hotels, apartments, and restoration companies across the world to access the best heating solution for their needs. Keep reading to learn more about our line of Eradi-Flo heaters and how they can help with a variety of industrial applications. 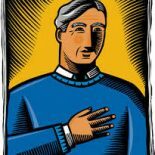 What exactly does the CE Mark mean for Colorado Tri-Flo Systems? The CE Mark, which stands for Conformite Europeenne (Or, European Conformity) is used as a certification for products (typically electric, medical devices, appliances, machinery, and other such products) which indicates that those products conform with the highest standards for health, safety, and environmental protection as outlined by the European Economic Area. CE Marking means that the manufacturer is declaring that their product meets the requirements of the directives laid out by the area. 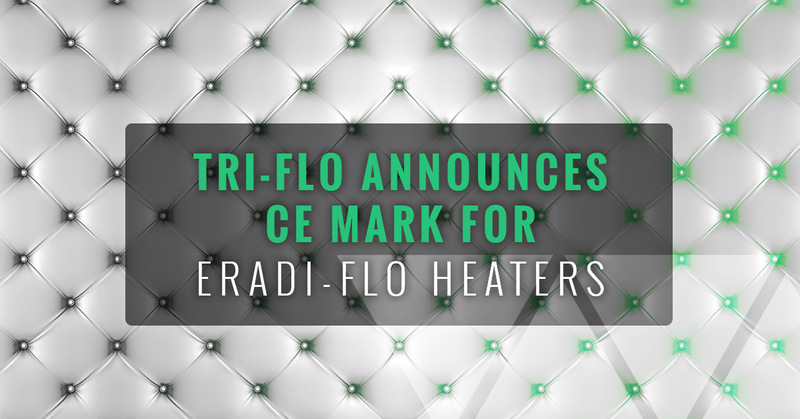 A CE mark for the Colorado Tri-Flo Systems line of electric bed bug heaters and restoration heating equipment ensures that our products can be sold within the member countries of the European Economic Area, which includes more than 30 countries in Europe such as: Austria, Belgium, France, Germany, Italy, Spain, Switzerland, Sweden, Greece, Finland, and the United Kingdom. The CE Mark will help Colorado Tri-Flo Systems expand their offerings into those countries, thus providing commercial and industrial solutions for bed bugs, flood restoration, construction heating, and a whole lot more. If you’re in the EU, you can contact Tri-Flo today to begin your pre-order process. Electric Bed Bug Heaters: Colorado Tri-Flo Systems’ Eradi-Flo line is the best electric bed bug heater that money can buy. 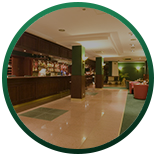 Because heat has been found to be the most effective, most reliable, and most cost-efficient way to kill bed bugs in all stages of life, our heaters have been known to be the top solution for hotels, facility managers, and even cleaning companies looking to add a new service to their arsenal. Our electric bed bug heaters produce ambient heat which paralyzes and then kills bed bugs in as little as one treatment. What’s more, these heaters require just one outlet per unit, and hotel employees or managers can be easily trained to handle these portable heating solutions wherever they go. Learn more about using heat to kill bed bugs here. Restoration Equipment: The Eradi-Flo heating line also serves as some of the top restoration equipment possible, using heat to dry rooms, warehouses, or even entire homes after a flood or unexpected pipe burst. Our industrial strength heaters are more effective and efficient than gas alternatives, and feature dual air ports to maximize airflow and decrease drying time. 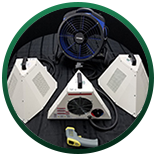 Our heaters are non-combustible, maintains low humidity, portable, and runs with the electricity found on the job site. Construction Heaters: Using our electric construction heaters to warm any construction site makes more sense for a variety of reasons. Not only are they more convenient and portable, but they also eliminate the risks and hassles of using a gas-based heater and allow you to work in any conditions. Learn more about using the Eradi-Flo line as a construction heater and contact Colorado Tri-Flo today to get started.